Traveling Players commissions original plays for the Mythology Ensembles from renowned DC-based educator and playwright Judith Walsh White. A student of ancient myth, she has written five plays based in world mythology, including four commissioned by Traveling Players: Atum’s Eye, Perseus and the Rock Star, Pandora’s Fire, and Ariadne’s Thread, the Adventures of Theseus and the Minotaur. Two of these were subsequently published by Theaterfolk, listing our first Mythology Ensemble as Original Cast. 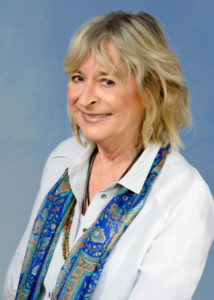 Judy is an award-wining teacher, playwright, poet, director, and actor specializing in ensemble-guided playwriting and work with young artists. Profiled in The Washingtonian in 1987 as one of DC’s ten best teachers, Judy taught drama and speech for over 20 years at the Holton-Arms School, where she trained Veep’s Julia Louis-Dreyfus. She taught drama to Jeanne Harrison, Traveling Players’ Producing Artistic Director, starting at age 4, and served six years on Traveling Players’ board. She continues to mentor teachers through the Center for Inspired Teaching (run by Aleta Margolis, another of her former students). As an actor, her range has included Off-Broadway to dinner theatre. She did graduate work at Oberlin, American Conservatory Theatre (ACT), and as a Northwestern University Fellow.